3 star hotel located opposite the station Porta Genova – from where the rest of the city is easily accessible – within easy walking distance is the famous Bocconi university. 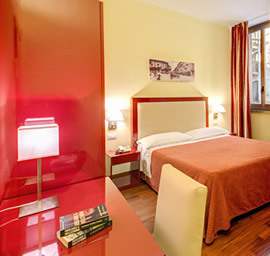 Three star hotel located in the south of the historic centre of Milan, close to the Porta Genova Metro station and the Leonardo da Vinci’s Last Supper. 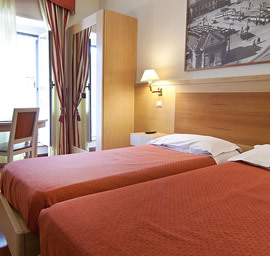 The Minerva Hotel presents 44 bedrooms with en-suites services, TV and air conditioning. 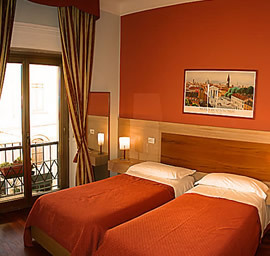 3 star hotel located just around the corner from the famous church Santa Maria delle Grazie which contains Leonardo Da Vinci’s world famous “Last Supper”. 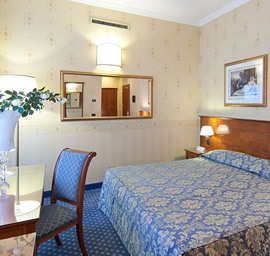 This unique property is one of the best value hotels in Milan.